We make pizza all the time at my house so it’s nice to change up the presentation every now and again. 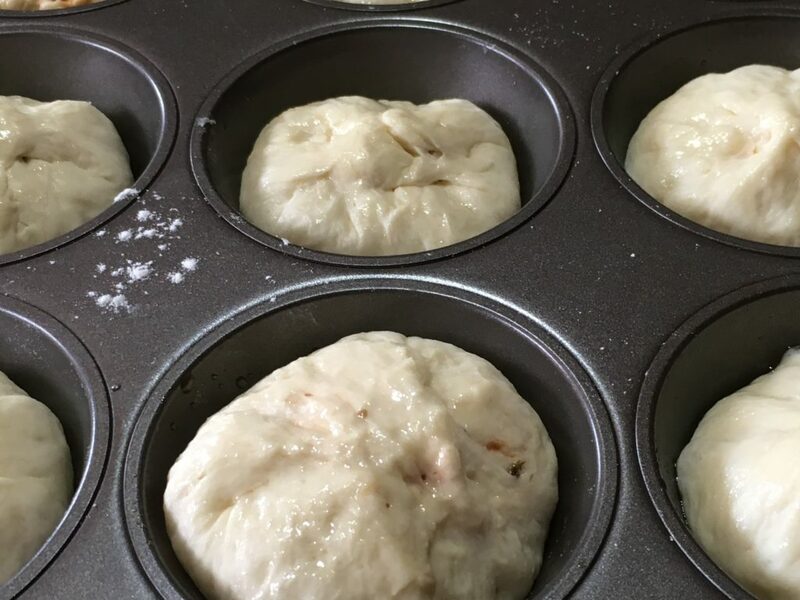 I love this recipe because it’s super simple and really quick, especially if you use store bought dough. I prefer homemade dough and I like to use this recipe because it’s quick and easy and the dough is super soft! These stuffed pizza rolls are great for lunches and road trips. They’re easy for kids to handle and they don’t make the mess of traditional pizza slices. It’s also a great recipe to make with the kids because they can do almost all the parts themselves. Hint: Letting them make their food is a great way to get them to eat it but shhh… don’t tell them that! 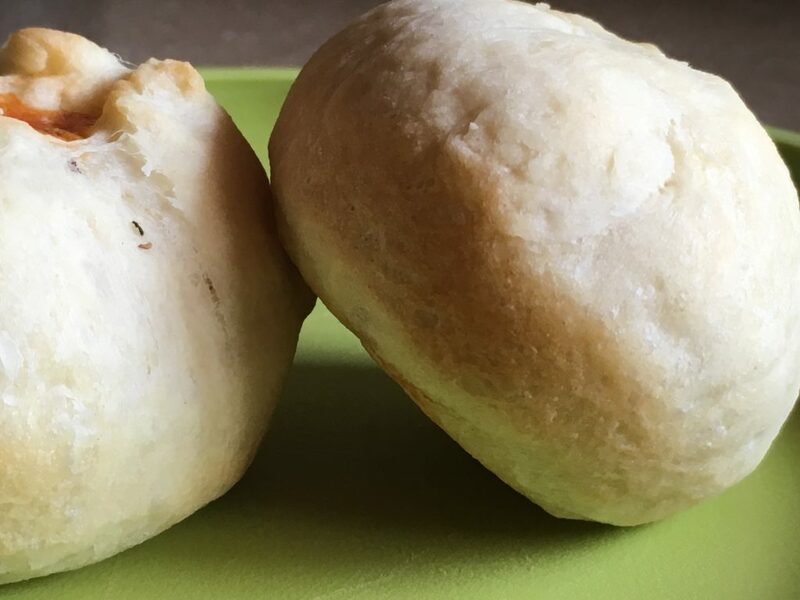 These rolls are a great way to get in the protein and fat and veggies that growing kids need, not to mention they’re delicious! I guarantee they will eat more than one! Simply roll out your dough and cut into circles. 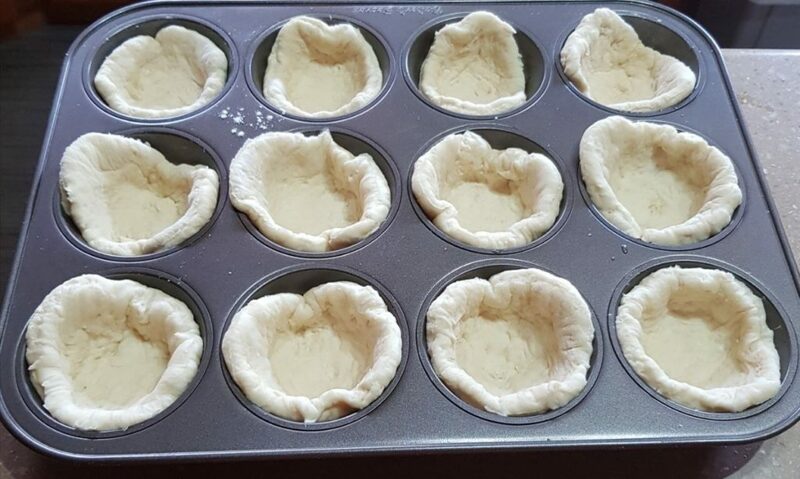 Place in a greased muffin tin and fill with all your ingredients. Close them up tightly or you will have some leaks (as you can see in my photo). 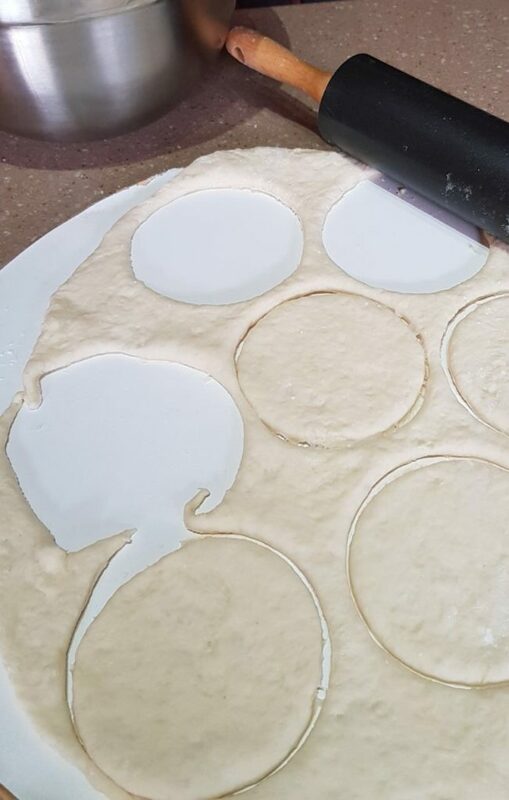 Roll out pizza dough and cut into circles using cookie cutter or rim of glass.  Make sure the circles are large enough to fit in the muffin tin and close up tightly. Add 1 tablespoon of sauce to each circle. Add cheese, toppings and seasoning. Don’t overfill or they won’t seal properly your toppings will ooze out during baking. Bake for 15 -20 minutes until tops are golden brown. Enjoy but be careful, the insides are hot!